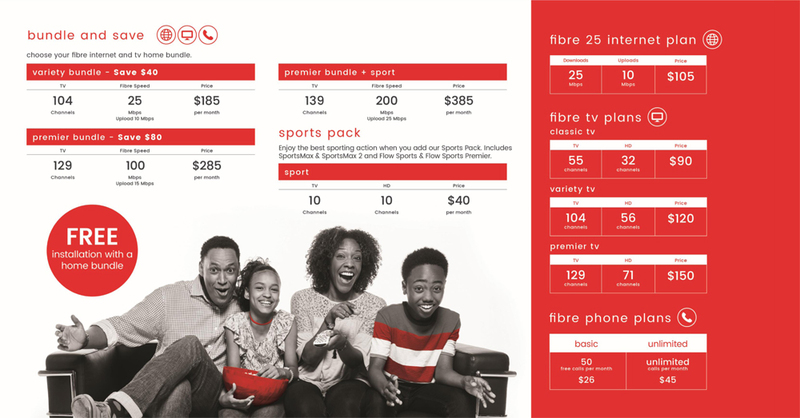 Digicel has launched their new fibre service, offering customers the ability to bundle internet, TV and voice services. “We’ve brought a world-class fibre service to Bermuda that will finally deliver the much-awaited true fibre experience customers have been waiting for,” announced Paul Stafford, CEO of Digicel Bermuda & BTC. “For years customers have had a confusing and expensive array of tiers and add-ons in order to get the channels they want. We’ve made things simply better”, Mr Stafford added. “Our pricing is extremely competitive when compared to what’s already in the market and people will now get what they are pay for with a world-class TV and internet service. We’re giving customers big savings when they bundle internet, TV and voice. For example customers can save $85 per month with our Premier Bundle which contains 129 channels and 100Mbps. To get the fibre experience, call 500-5000 or talk to a sales agent in the Digicel or BTC store. You can view the bundles and pricing here. Those prices are beyond ridiculous. No thank you. I was on the friendly user testing and the delivery was awful, took four visits to get mine connected.